ISLAMABAD -- Pakistan is preparing to welcome Saudi Crown Prince Mohammad bin Salman Al Saud for a state visit, the Foreign Ministry confirmed Wednesday (February 13). The two-day visit kicks off Saturday (February 16) and will include a raft of high-level talks with Prime Minister Imran Khan and Pakistan's military chief, as Islamabad hopes to sign various investment deals to prop up its slumping economy. "The two countries will also discuss ways and means to develop a robust follow-up mechanism to ensure effective implementation and quick progress on tangible areas of co-operation." Pakistan is arranging strict security measures, Dawn reported. Measures reportedly include shutting down airspace, partially suspending cellphone service, and barring "heavy traffic" from the main routes in Islamabad and Rawalpindi during the crown prince's visit. Authorities intend to set up more than 1,000 checkpoints in the two cities and to shoot down any drones and other remote-controlled aviation toys. Former Chief of Army Staff Gen. (ret.) Raheel Sharif, who is the top commander of the Saudi-based Islamic Military Counter Terrorism Coalition, met with Khan on Tuesday ahead of the state visit. During the meeting, they discussed the regional security environment and efforts for peace and stability, according to an official statement. "The prime minister reiterated his commitment to bring enduring peace and stability in Pakistan while supporting all initiatives for regional peace," the statement said. 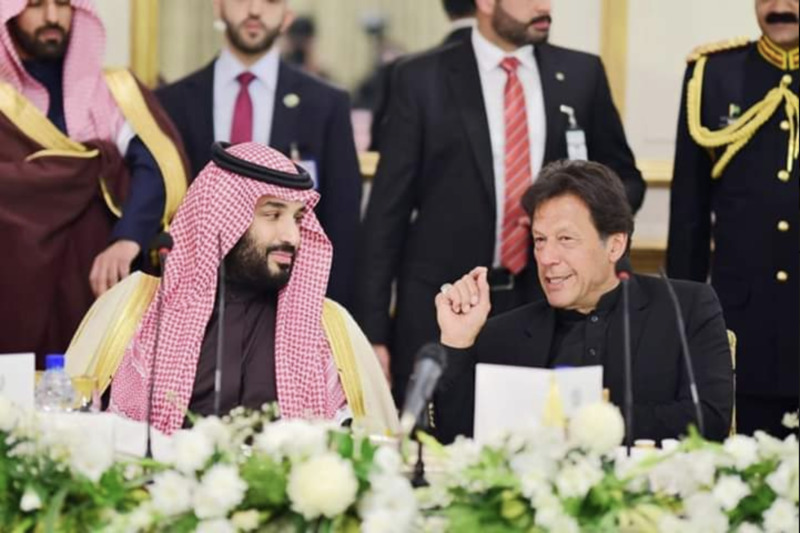 Riyadh and Islamabad have been involved for months in talks to iron out details of the deals in time for the crown prince's visit. Saudi Arabia is reportedly preparing to sign a record investment package with Pakistan, aiming to provide welcome relief for its cash-strapped ally. At the heart of the investment is a reported $10 billion (Rs. 1.4 trillion) refinery and oil complex in the strategic Gwadar Port on the Arabian Sea. The visit comes just weeks after Pakistan rolled out the red carpet for Abu Dhabi Crown Prince Sheikh Mohamed bin Zayed Al Nahyan, shortly after the emirate pledged to provide $3 billion to support Pakistan's economy. The Wall Street Journal reported last month that both Saudi Arabia and the United Arab Emirates -- Islamabad's biggest trading partner in the Middle East -- have offered Pakistan $30 billion (Rs. 4.2 trillion) in investment and loans. Pakistan has been courting its Gulf allies for months as Khan's Pakistan Tehreek-e-Insaf government seeks to stave off a balance of payments crisis and reduce the size of any potential bailout from the International Monetary Fund. Saudi Crown Prince Mohammad bin Salman pledged $20 billion in investment projects and ordered the immediate release of over 2,000 Pakistanis from Saudi jails. 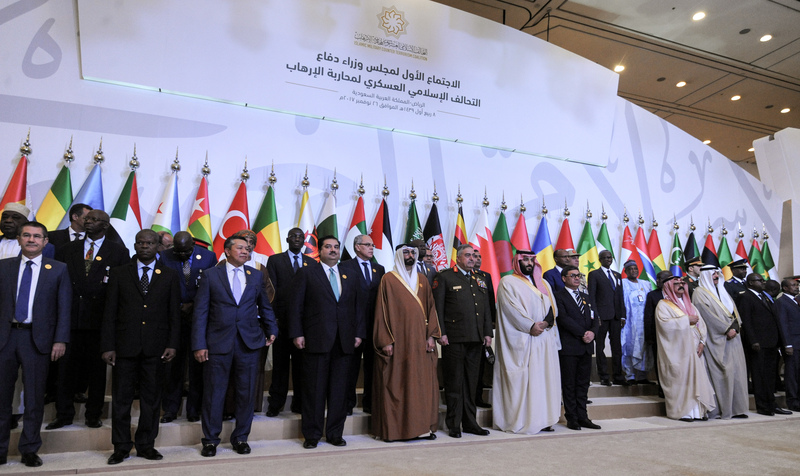 Afghanistan and Pakistan are among 41 countries that have joined the 'pan-Islamic unified front' against violent extremism.